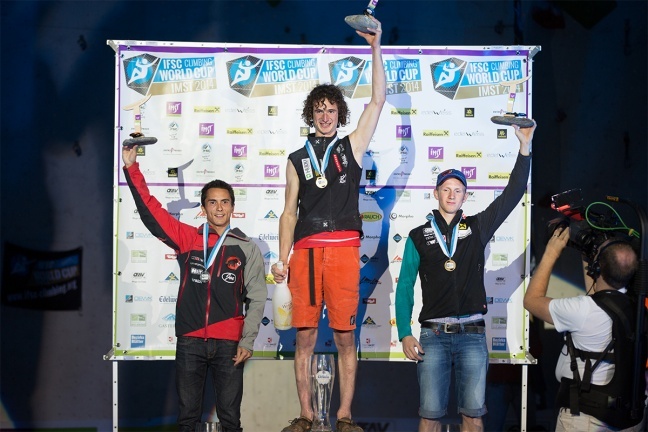 The 2014 IFSC Lead World Cup rolled into Imst, Austria last weekend and it was none other than Adam Ondra taking gold for the men and Magdalena Röck winning gold for the women. 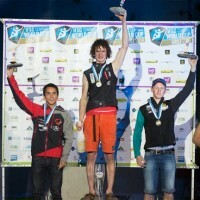 For Ondra it was a return to the norm after a disappointing start to the 2014 season that saw him not even make the semi-final in Chamonix, while for Röck it was her first gold medal after a series of runner up finishes this season. Of note from the U.S. perspective was a very solid 7th place finish by two-time reigning National Champion Delaney Miller. was hoping to see delaney finish stronger, but 7th ain’t bad at all!